Well, I am stumped and I am reaching out on the forum for the first time. Most things are working great with my new install and its doing its job, but I still have some small issues with hostname lookups in my config. Utangle is not able to resolve MAC address of anything our DHCP server leases to clients. Untangle sees them, and they resolve Untangle, block pages,. and Captive Portal without a hitch, but NO HOSTS show in console except the switching gear on a 10.1.10.x lan. 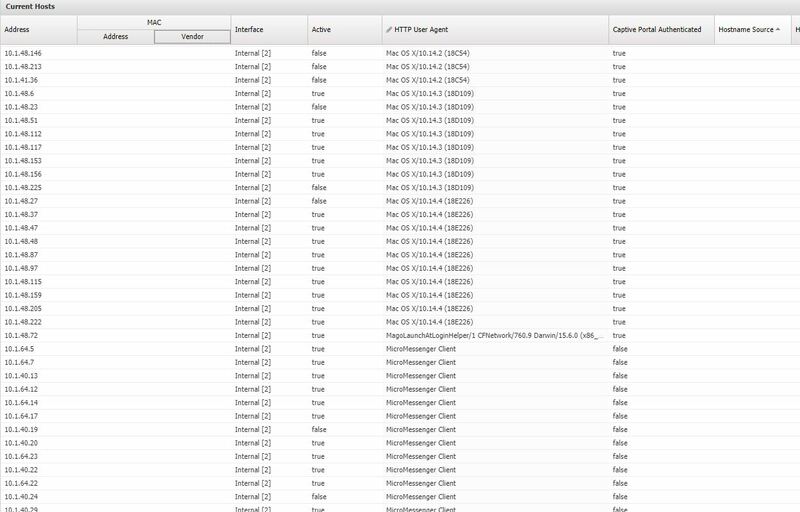 Clients are on 10.1.40.x, DNS/DHCP comes from 10.1.30.3 (DNS Server) All Client are DHCP based, no Static ones. Basically the hostnames of the client on the network are not shown in the Untangle interface and that is something we really want working. Everything else works great, but Hostname/MAC address of clients would allow us to utulise the bandwidth control functions. Sounds to me like it's working as intended. If you have a router behind Untangle performing NAT, Untangle will only see that singular IP address, if you want it to see all of the rest of them, you need to configure that router to stop performing NAT. This will likely immediately break Internet connectivity. To restore connectivity you need to put a static route in Untangle for any network beyond the router behind Untangle. And once all that's working, you'll still not be able to see the MAC addresses of anything in those remote segments. Why? Ethernet 101 that's why! MAC addresses are layer 2, and they do not persist past the first layer 3 division. That is to say, that information doesn't make it past the first router! That's how it works, that's how it's always worked! This is why it's recommended to control devices with IP addresses, MAC addresses are useless in a larger network. IP addresses will go as far as where you put NAT, so you've always got those. Do you mean they all appear as one host? If so, that host is probably doing NAT and you'll need to disable that as sky-knight explained. If you just mean the hostnames aren't resolving for DHCP hosts, thats also expected because Untangle is not the DHCP server and thus can't derive hostnames from the DHCP request. You may possibly be able to point reverse DNS to your DHCP server if it supports DNS and have Untangle resolve hostnames via DNS to your DHCP server. As Dmorris pointed out, if you want Untangle to resolve hostnames from IP addresses, that's what reverse DNS is for. You need a DNS server that does that work, and you need to use the domain DNS server feature to aim Untangle at it. He even gave you the example for it. Is is likely anything to do with the switchport. As I said before you will never see MAC addresses past a layer 3 barrier, so that's normal. For the rest, you need to correctly input the zone and forward it to a DNS server that will resolve the reverse queries. Once you do, the names will resolve. 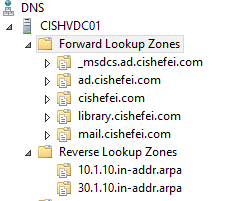 The question becomes, what DNS server is handling that reverse zone? As for the DNS, I really cant figure this out. I have pointed Untangle Domain DNS to those two servers for DNS, since they know all the hostnames as they are the ones giving out the leases. What I cannot understand is why Untangle still does not see the Hostnames that both the DNS servers see. I have attached some more screenshots. Unfortunately my networking skills are still very basic, and I had cisco (CCNP) engineers install this for me, so now I am left to figure it out since they are no longer available. You Say I need to add a Zone, I assume you mean add a Zone in my DNS servers? Can you explain in more details?